A council and the Gambling Commission have launched an initiative to halt children gambling in the “Adults Only” sections of seaside slot machine arcades. 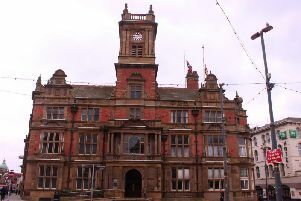 The first man to be prosecuted – after a 15-year-old was able to put money into a machine – appeared before magistrates at Blackpool. The arcade owner, Peter Turner, 52, of St Annes Road,Blackpool, admitted allowing a child to gamble in the adult gaming section of the Golden Mile’s Happy Dayz arcade. Victoria Cartmell, prosecuting for Blackpool Council, said that a group of children were sent into the arcade acting as “test purchasers”. Mr Taylor was present in the premises at the time. The prosecutor said that this was in breach of the Code of Conduct in use for gaming machines which said that only over 18’s should play them. She said that Taylor had taken immediate steps to make sure it would never happen again and had removed all his adult only area. The prosecutor added that there had been a previous test purchase at Happy Dayz and that had also failed. Turner told the court: “I have been in this business since 1972 and I was horrified when I failed.